The State Department questioned Ukraine's commitment to fighting corruption. 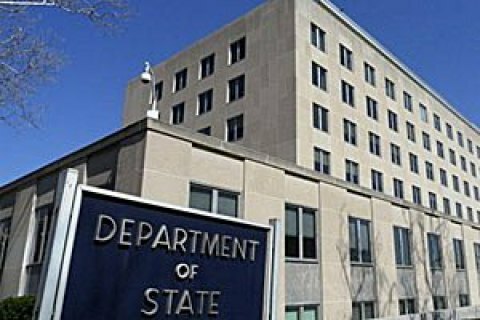 The US State Department on 4 December issued a statement standing up for the National Anti-Corruption Bureau of Ukraine. "Recent events - including the disruption of a high-level corruption investigation, the arrest of officials from the National Anti-Corruption Bureau of Ukraine (NABU), and the seizure of sensitive NABU files – raise concerns about Ukraine’s commitment to fighting corruption. These actions appear to be part of an effort to undermine independent anti-corruption institutions that the United States and others have helped support. They undermine public trust and risk eroding international support for Ukraine," the statement reads. The US called on all branches of the Ukrainian government to work together to eliminate corruption. After the detention of a NABU undercover agent on the accusations of provoking a bribe, the Prosecutor-General's Office posted a video with the personal data of the bureau's agents.